Welcome to Episode 37 (Part IV of IV), where we'll be engaging in some further analysis and discussion. Broadly speaking, the term 'religious language' refers to statements or claims made about God or gods. Many problems arise in the field of religious language, but our principal focus in this episode will be the problems that arise within the Abrahamic religions (that is, Judaism, Christianity and Islam). Simply put, it is unclear how one could use human-made language, to talk meaningfully about something infinitely powerful, infinitely knowledgeable and infinitely loving. This problem is worrisome to believers as it has the potential to undermine their traditions; if we cannot speak meaningfully about God, then the texts and teachings of Abrahamic faiths can only be deemed unintelligible (i.e. impossible to understand). But when we look beyond human affairs… when we carry our speculations into the two eternities, before and after the present state of things; into the creations and formulation of the universe; the existence and properties of spirits; the powers and operations of one universal Spirit existing without beginning and without end; omnipotent, omniscient, immutable, infinite and incomprehensible: We must be far removed from the smallest tendency to scepticism not to be apprehensive, that we have here got quite the reach of our faculties. A. J. Ayer, Language Truth and Logic. A. J. Ayer, God-Talk Is Evidently Nonsense. Brian Davies, Philosophy of Religion: A Guide and Anthology (Amazon). Paul Tillitch, Dynamics of Faith (Amazon). 'Religious Language', Internet Encyclopedia of Philosophy. Richard Swinburne, The Coherence of Theism. Saint Thomas Aquinas, The Summa Theologica. Welcome to Episode 37 (Part III of IV), where we'll be discussing the verification and falsification principles. Welcome to Episode 37 (Part II of IV), where we'll be discussing Saint Thomas Aquinas and Ludwig Wittgenstein. Welcome to Episode 37 (Part I of IV), where we'll be discussing religious language and 'the via negativa', also known as 'the apophatic way'. Welcome to Episode 32 on Meta-Ethics (Part IV of IV) where we'll be engaging in some further analysis and discussion. Meta-ethics is the attempt to understand the metaphysical, semantic, epistemological and psychological presuppositions of moral thought. It investigates our ethical language, in search of the meaning that lies behind it. Meta-ethics is concerned with are a broad range of puzzles, for example: What do we mean we make moral claims? Do our preferences or feelings motivate moral assertions? Or are we stating facts when we make moral claims? Is morality more a matter of taste than truth - and if it is a matter of truth, how do we learn about the moral facts? This episode we’ll be introducing you to three meta-ethical views. In Part I, we’ll be discussing naturalism, in Part II, we’ll be looking at intuitionism, in Part III, we’re going to dive into emotivism, and finally, in Part IV, we’ll be engaging in some further analysis and discussion. Please visit our Patreon page and show your support! Welcome to Episode 32 on Meta-Ethics (Part III of IV) focusing on emotivism. Welcome to Episode 32 on Meta-Ethics (Part II of IV) focusing on intuitionism. Welcome to Episode 32 on Meta-Ethics (Part I of IV) focusing on naturalism. Meta-ethics is the attempt to understand the metaphysical, semantic, epistemological and psychological presuppositions of moral thought. It investigates our ethical language, in search of the meaning that lies behind it. Meta-ethics is concerned with are a broad range of puzzles, for example: What do we mean we make moral assertions? Do our preferences or feelings motivate moral claims? Or are we stating facts when we make moral claims? Is morality more a matter of taste than truth - and if it is a matter of truth, how do we learn about the moral facts? Welcome to Episode 31 on Ludwig Wittgenstein (Part II of II) with Prof. Richard Gaskin. Ludwig Wittgenstein was an Austrian-British philosopher whose work focused on the philosophy of mathematics, logic, the philosophy of mind, and most notably, the philosophy of language. Wittgenstein’s influence on the world of philosophy has been phenomenal. The study of philosophy was immensely important to Wittgenstein, not only as an academic discipline but as a form of therapy. In Ludwig’s own words, he describes philosophy as, "the only work that gives me real satisfaction". Wittgenstein’s work can be divided into an early period, exemplified by the Tractatus (our focus for Part I), and a later period, articulated in the Philosophical Investigations (which is our focus for Part II). Early Wittgenstein was concerned with the logical relationship between propositions and the world. He thought that by providing an account of this relationship, he had solved every philosophical problem. The later Wittgenstein rejected many of the assumptions of the Tractatus, arguing that the meaning of words is best understood as their use within a given language-game. Wittgenstein’s life and work are astonishing. His mentor, Bertrand Russell, described him as "the most perfect example I have ever known of genius as traditionally conceived; passionate, profound, intense, and dominating". This week in Part II, we'll be discussing Wittgenstein's Philosophical Investigations from 1953. Episodes 29-31 are proudly supported by New College of the Humanities. 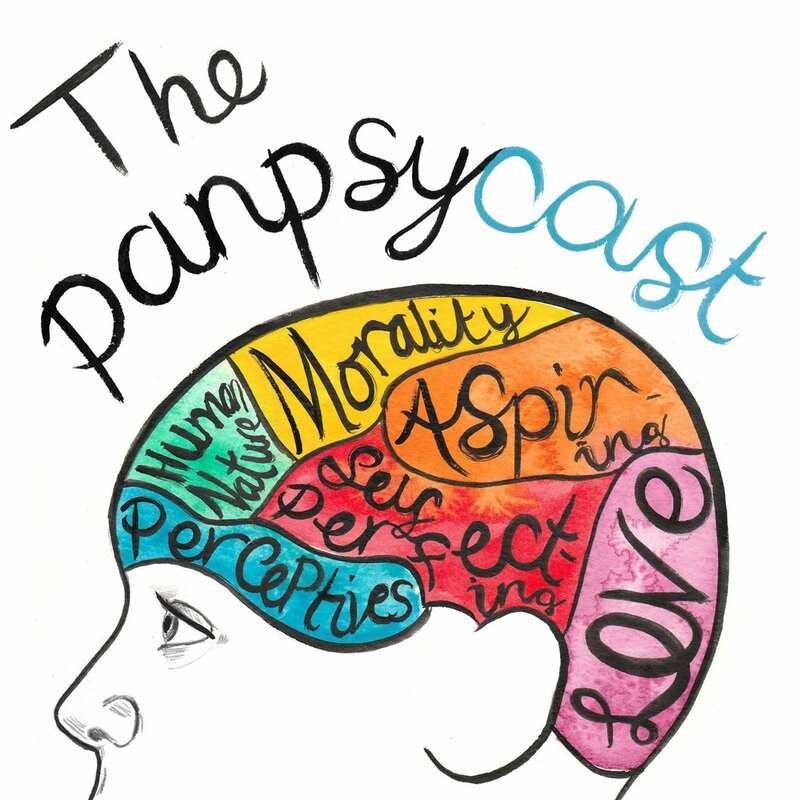 To find out more about the college and their philosophy programmes, please visit www.nchlondon.ac.uk/panpsycast. Welcome to Episode 31 on Ludwig Wittgenstein (Part I of II) with Prof. Richard Gaskin. This week in Part I, we'll be discussing Wittgenstein's Tractatus Logico-Philosophicus from 1921.